Nebraska Discoveries 22: My last trip to Nebraska…for now. 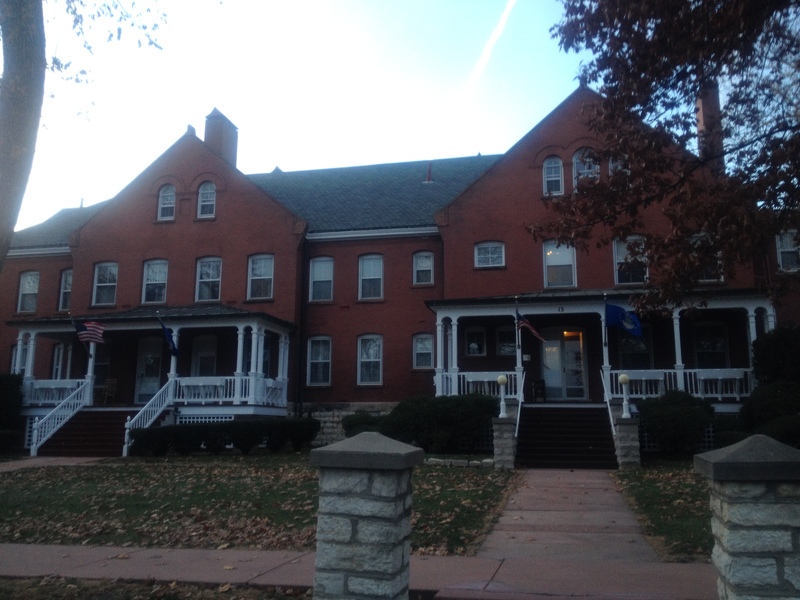 The Historic Fort Crook Suites are on “General’s Row” on Offutt AFB. Just before Thanksgiving I took one last trip to Offutt AFB in Nebraska. This time I was signing out of my unit at STRATCOM. The folks in my office took me out for a nice lunch at Sinful Burger, and I even caught one last Omaha-Offutt AMS chapter meeting to see some of my friends from my time with that group in 2008-2010. I had been traveling to Nebraska 5-6 times per year in 2011, 2012, and 2013 for my reserve work. Dave had received orders from Nebraska to Florida a mere 6 months after I had been hired locally. For most of 2011 and the first half of 2012 I had friends who offered up their homes for me. It was so gracious of them, and it was nice to not feel like I was living out of a suitcase quite so much. Starting in mid-2012, closer friends had received PCS orders of their own and I was left to arranging to stay at the lodging on base. I didn’t have to pay for it, and it isn’t poor quality. But living out of one room most of the time can get old, especially on the two-week tours. It was a crap shoot which of the five lodging locations would be available for my visits. I had the chance to stay in all of them, but the historic “Quarters 13” ended up being last on the list: it was offered up for this past trip a couple weeks ago. I had written about Historic Fort Crook previously. 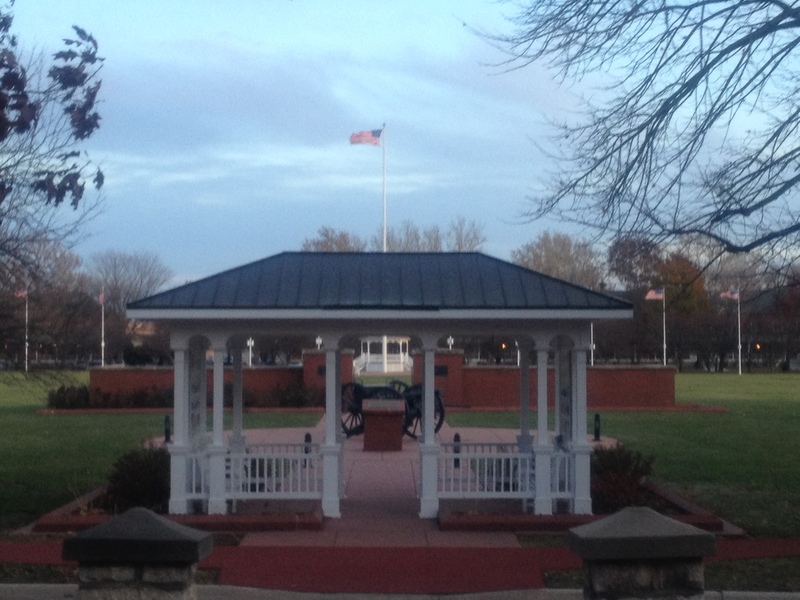 It’s parade field has a nice shaded running track and the houses on Generals’ Row are gorgeous. I didn’t take an pictures from the inside of the room, but it was outfitted similarly to the FGO suites at Malmstrom Inn: a two-room suite with a bathroom. My view from the front porch of Quarters 13. Read more about the history of the building on this placard. 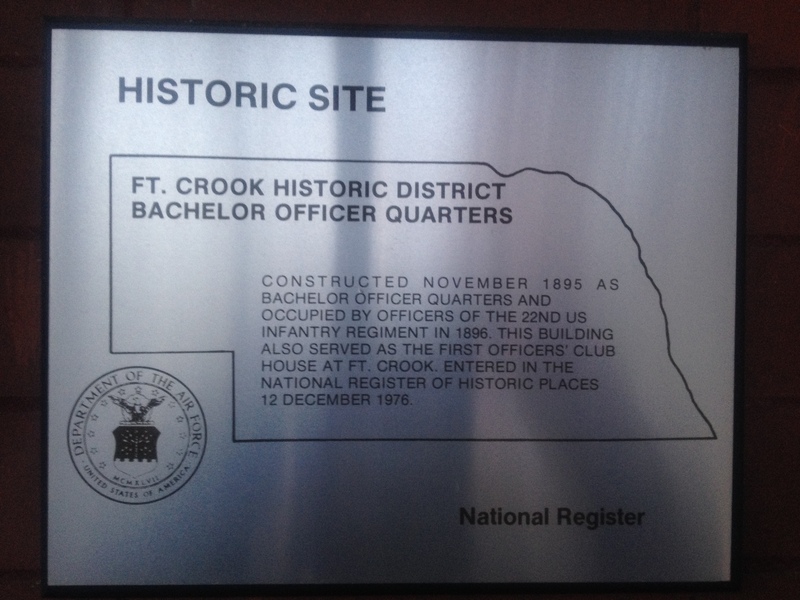 A historic placard with the history of the bachelor officer quarters.